Eastside is the go to area for emerging designers, vintage treasures and lifelong investment pieces. 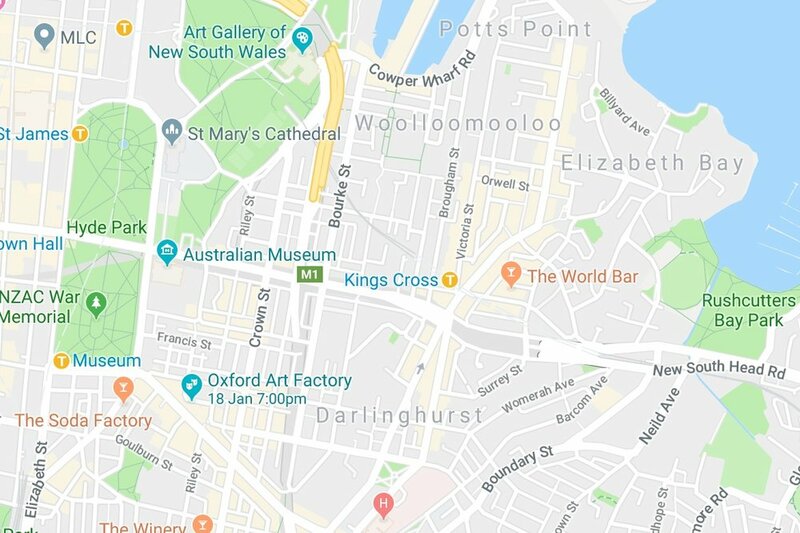 The stores across Potts Point, Surry Hills, Darlinghurst and Woolloomooloo are gateways to the eclectic, progressive and innovative dynamic that is Sydney fashion. We recommend checking out The Collector Store in Surry Hills, home to Romance Was Born, American Vintage and Zoe Karsson as well as the most stunning accessories. Or if you’re looking to be more thrifty the Surry Hills fashion markets are the place to start. Darlinghurst’s Zoo Emporium or Blue Spinach are the perfect places to find one of a kinds gems for your vintage collection. Home to the National Art School, Brett Whitely’s studio and the most thriving community of graphic design businesses, branding studios and emerging designer pop up stores, you will not be lost for creative inspiration Eastside. Be sure to take some time to paint and drink wine at Cork & Canvas studio on Oxford Street, soak in the graffiti stained walls of Foley Street and drop by Stacks Projects in Potts Point. For the latest news, walking art guides and gallery openings the Eastside Blog is updated weekly with new content. Eastside is the buzzing epicentre of Sydney’s live music scene. Home to the legendary Oxford Art Factory, The Record Store and Candy’s Apartment, it is here that you will find the smoothest jazz bar and the grungiest dive. With international artists consistently touring the area Eastside is alive with the best sounds and the best night out in the city. Eastside is known across Australia as being at the forefront of visual arts, media, fashion and creative thinking. As well as this we are proudly home to the largest LGBTIQ + community in Australia and one of the largest in the world. Working with the community is a priority for many of our residents and businesses, and so making our visitors feel welcome is always a priority. Whether you want to get involved in helping with our local schools, engaging with our youth or learning more about issues surrounding urban spaces, our at-risk communities or Eastside’s sustainability there is always a place for conversation. Sydney’s Inner Eastern Suburbs is the Brooklyn, the Soho and the Notting Hill of food and coffee. No matter if you are looking for the most skilled baristas, the freshest in local organic produce or a juicy and glutenous burger, Eastside is where you’ll find it. If late nights are more your scene, there is no end to the wine bars, speakeasy secret spots and slick cocktail lounges in the area. Eastside is also the place for a frosty local beer or a cheap Italian pasta and a jug of wine. Our Eastside Blog is filled with local secrets, news and tip offs for the best Sydney can offer. Eastside thrives on bringing everybody together. Supporting local artists, activating businesses and creative spaces, as well as celebrating the unique and global community that works and lives in the area. Whilst you spend time in any of our precincts make sure you look and listen for the next buzzing gathering or experience on offer. Eastside is always moving and you can rest easy knowing that our blog will have all the details on the next experience you can have in the area.